The price continues the formation of diagonal triangle pattern, it looks like the third wave inside the pattern has been completed, and now the fourth wave starts. The local correction may last several days, and after it is finished, the bulls, most likely, will try to test maximum again. 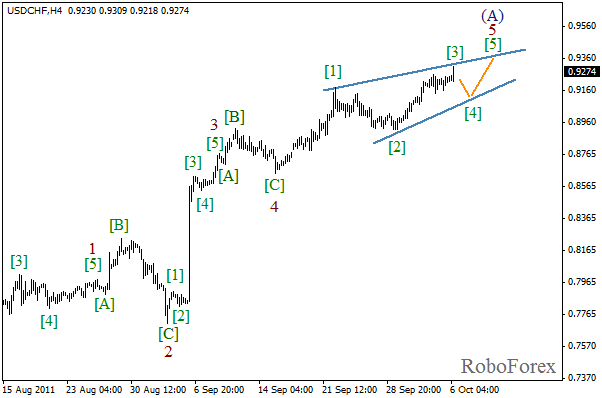 Wave (B) inside the third wave has been completed in the form of running triangle pattern. We may assume that wave (C) has been already completed. In the near term, we can expect the correction to start. 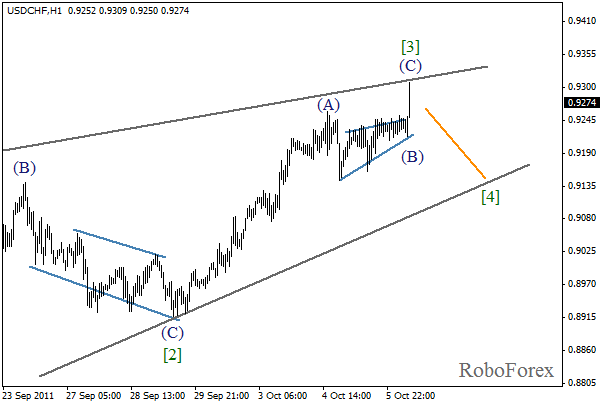 The fourth wave inside diagonal triangle pattern of wave (C) continues. It looks like the local correction is about to be finished, that’s why during the next several days we can expect the price to start falling down again. 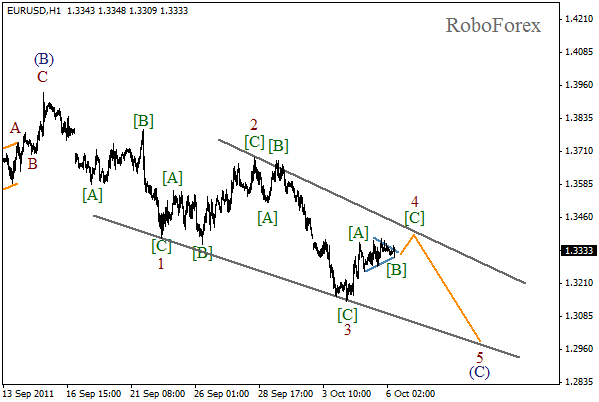 Most likely, the fourth wave will take the form of zigzag pattern. 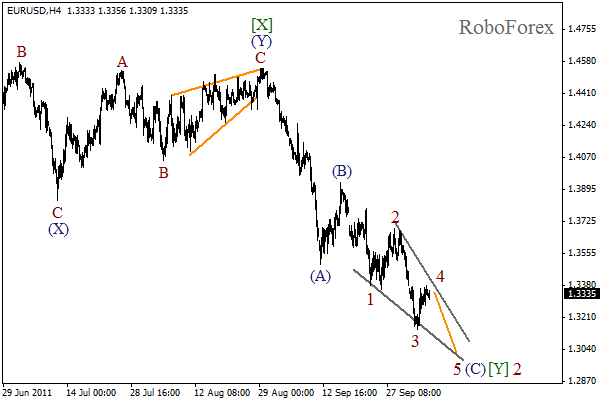 On the minor wave level, wave [B] has been completed in the form of horizontal triangle pattern. During the day the price may start growing while forming wave (C). Later, after the price rebounds from the triangle’s upper border, we can expect the fifth wave to start.